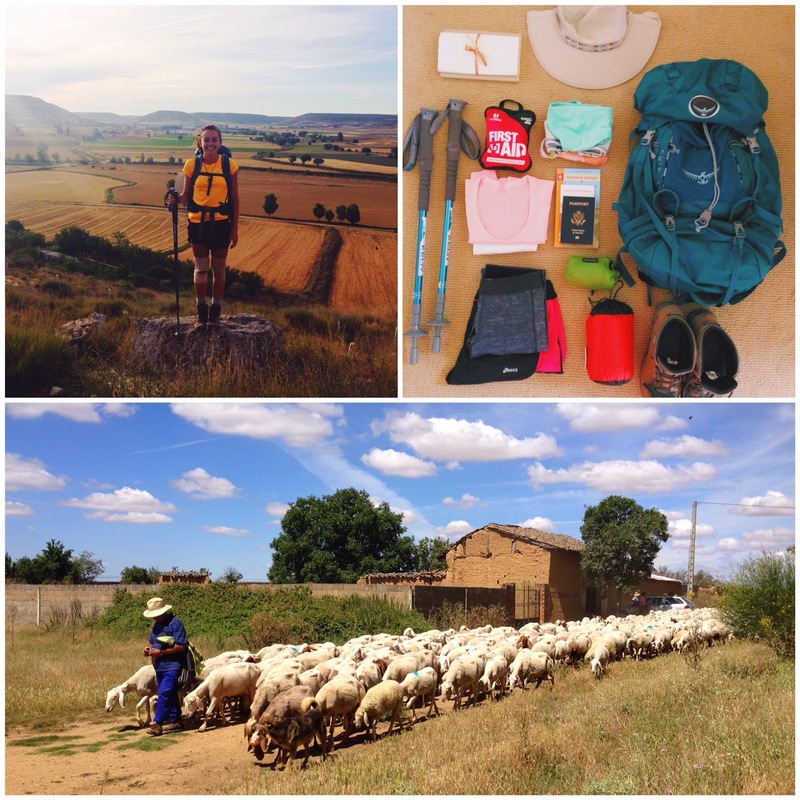 this summer natalie was given an amazing opportunity when pepperdine university offered the chance to trek across the camino in spain. sounds like the adventure of a lifetime that i've now added to my ever expanding list of things i must do! natalie will give you the skinny on it! it's hard for me to begin to put my summer into words. i feel very fortunate that i was able to travel and experience spain for the first time by walking across it. 517 miles in 5 weeks. i walked through 5 regions, all known for a variety of cuisines, languages, and people. i put the same backpack and hiking boots on every morning to join the early morning sun, and to walk. walking became a part of my life, as does school or work. therefore, what happened while walking created the lasting memories. i had rich and fulfilling conversations with people i would never have dreamed of meeting. i never ran out of patience to listen, or things to talk about. we told stories, and asked challenging questions, sometimes unanswerable questions, while sharing spanish wine and tapas in towns with an official population of 1.
looking back, i was able to fully live in each moment. that's what walking does to you, it slows you down. it removed me from this world of instant gratification and turned me inward and brought to light the core and genuine importance of life. like family, friends, love, faith, and peace. i have returned and am still recovering from over worked joints and reverse culture shock. i have a camera full of unbelievable photos and a journal full of attempts to transcribe my thoughts and adventures. 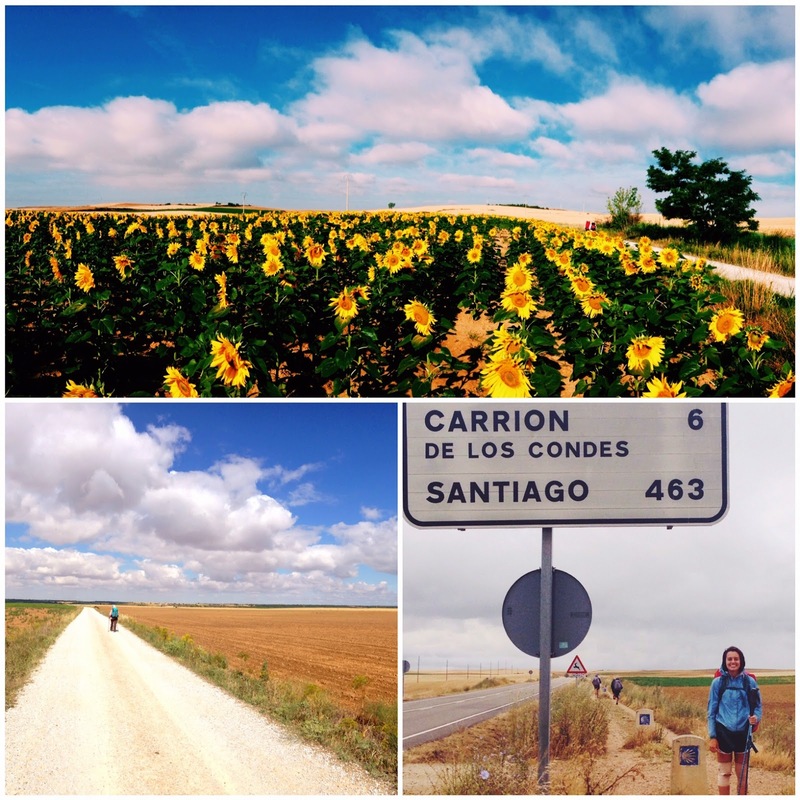 i am planning to do the camino again one day. i feel like i have left a part of me in spain. i fell in love with the country and what the country taught me. my favorite quote that i read while i was walking was handwritten on the wall of a cafe i stopped in to take shelter from a rainstorm. "el camino ne te have más fuerte, te hace darte cuente de lo fuerte que eres." which translates to, "the camino does not make you stronger, it makes you realize how strong you already are."